The civil nuclear cooperation agreement  signed by Australia and India seriously undermines Australia’s credibility as a responsible nuclear supplier, along with the international nuclear non-proliferation regime as a whole. The Joint Standing Committee on Treaties (JSCOT) must demand that Australia re-negotiate the terms of the treaty with India in order to avoid a foreign policy failure that cripples Australia’s non-proliferation record. To be clear, exporting Australian uranium to India is a good idea . After all, India has a huge and growing population, and needs access to clean energy to alleviate poverty without contributing to the rise in global greenhouse gas emissions. To that end, demanding that India join the Nuclear Non-Proliferation Treaty (NPT) as a pre-requisite to receiving Australian uranium was always a non-starter. As an empirical fact, India can’t join the NPT as a nuclear-weapon state. To join and be in compliance with the NPT, India would first need to unilaterally dismantle its nuclear arsenal. Contending with two nuclear powers on its borders (China and Pakistan), both with expanding nuclear arsenals, India won’t be doing that anytime soon. In recognition of those difficulties, the Nuclear Suppliers Group (NSG) granted India an exemption from the NPT requirement in 2008. That enabled India to access nuclear material for peaceful purposes under the strict understanding that India would adhere to all the obligations expected of a nuclear-weapon state party to the NPT. The barriers to India joining the NPT were acknowledged, while the integrity of the NPT—although weakened—was maintained. Nuclear suppliers do have a responsibility, however, for ensuring their nuclear material isn’t used to build nuclear weapons, and must maintain strict mechanisms for that purpose. If countries can access nuclear supply without the attendant responsibilities, then support for longstanding non-proliferation regimes will be undermined, countries will see less value in treaties such as the NPT, and a key pillar of the nuclear arms control regime as a whole will be weakened. The text of the proposed Australian export deal fails that basic test. In addition to a range of other flaws, for the first time in 40 years Australia won’t be able to guarantee how the nuclear material it supplies is being used. Specifically, the agreement allows India to reprocess uranium supplied by Australia to create plutonium, potentially at weapons grade, with no direct accounting by India to Australia for that material, and unusually, no provision for the return of the material in the event of it being misused. As former Director-General of ASNO, John Carlson, explains , Australia currently allows reprocessing only by two export partners, the EU and Japan, each with direct reporting requirements and specific permission being given by Australia as to how the reprocessed material is to be used. Accordingly, the deal with India isn’t comparable to Australia’s other nuclear export agreements. 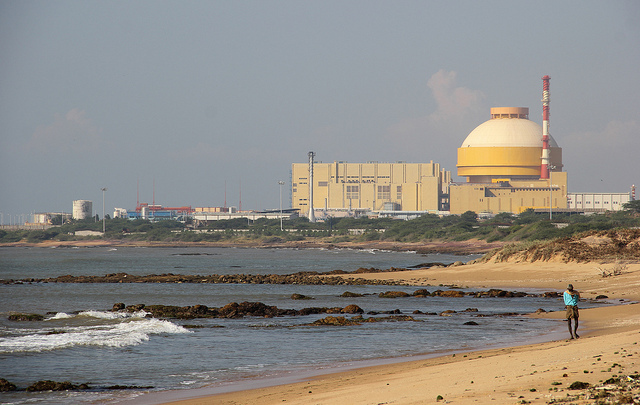 Australia is privileging India by excluding key provisions normally included to ensure a recipient of nuclear material is accountable to the supplier. Australia’s other nuclear export partners might demand similar concessions, undermining the integrity of the non-proliferation regime as a whole. Moreover, the concessions made by Australia are unnecessary. It’s certainly true that Australia’s earlier refusal to export uranium to India (unless it joined the NPT) caused tensions and mistrust in the bilateral relationship. But those were resolved in 2011 when the then Labor government changed its policy to enable export to India under conditions similar to Australia’s agreements with other partners. India doesn’t require Australian uranium for power production in the medium term. What matters for the Australia–India relationship is Australia’s willingness to export uranium to India under appropriate conditions, not whether an actual agreement is currently in place at any cost. Not only does this agreement undermine long established non-proliferation regimes and Australia’s credibility as a nuclear supplier, it represents a missed opportunity to strengthen it . Given that what matters most to India is being treated on a par with China and the United States, India should be expected to ratify the Comprehensive Nuclear-Test-Ban Treaty (CTBT) after the US Senate does, just as China has already agreed to do. In this way a nuclear agreement with India would’ve served as a useful catalyst for bringing much of the world’s population under the CTBT with a single act of the US legislature. Without such an undertaking, China may well renege on its previous pledge, reasonably arguing that it can’t join the CTBT while a nuclear-armed India remains outside the treaty on its border. The agreement marks a significant departure from Australia’s longstanding practice. By excluding the normal provisions that ensure a nuclear recipient is directly accountable to the supplier, Australia is abrogating the principle that nuclear suppliers are accountable for how their exported nuclear material is used. It’s in the security interests of all nations, including India, that the integrity of the non-proliferation regime be preserved in order to restrict the spread of nuclear weapons. For the sake of our collective long-term term security, as well as our national integrity, the agreement must either be amended to reflect Australia’s long-standing safeguard requirements, or opposed. Crispin Rovere is a former PhD student at the Strategic and Defence Studies Centre, ANU and co-author of Non-strategic nuclear weapons: the next step in multilateral arms control. Image courtesy of Flickr user Indiawaterportal.org .